Surely any blog that talks about interiors has to feature a post about candles at some point? Let’s get it over with. I had a diptyque candle recently, it was divine, and a gift from my sister. Buy this for your sister. Or your mum, or your best friend. But you might feel a bit guilty buying it for yourself, regularly, or at least you won’t want to light it and leave it burning for hours without really Appreciating it. So, what to do for the more everyday candle? You can’t beat a good old IKEA vanilla candle for making a house full of children smell a little bit better. The Christmas one is pretty nice, too. 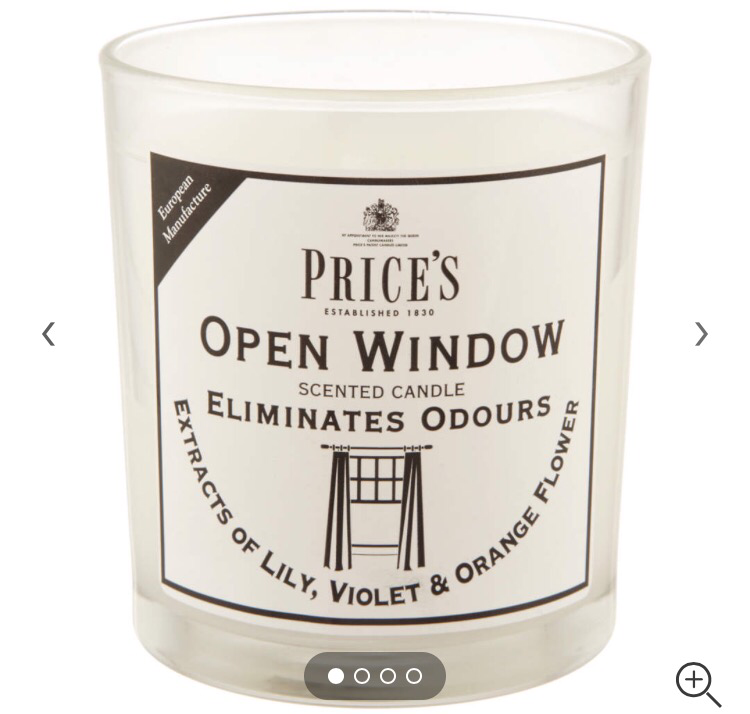 Another total gem are the Price’s Open Window candles that ocado/waitrose sell. Often on offer so a steal! And just a really gentle hint at a fresh and floral scent, not screaming I-lit-a-candle-to-make-my-house-smell-better but just, nice. For a mid point price and very nice candle, the True Grace range is lovely and looks a bit pretty on a shelf too. This is a blog post my husband might want to skip.